Citrus fruits are very popular and common all across the world. They are loved for their taste and numerous health benefits as well. There are a huge number of fruits that fall in to this category. List of ten citrus fruits you must definitely eat. The blood orange is usually considered to be the tastiest among all the citrus fruits. It has numerous health benefits as well. It contains high amounts of vitamin A, vitamin C, calcium, anthocyanins, and folic acids. It helps in building teeth and bones, prevents cancer, improves your digestive health, and promotes your cardiac health. The Buddha’s hand, or the Citrus medica var. sarcodactylis, contains a he amount of Vitamin C. it finds use in making stimulates and tonics. It is not like the other citrus fruits, as it is dry and without seeds. The citron is known to have originated from India and Burma. Popular for its health benefits, it can prevent diseases like Alzheimer’s which are caused due to oxidative stress. This is due to the antioxidant properties. The hypo-glycemic properties of the peel help in treating diabetes. It also controls pains caused due to burns and cuts. Grapefruits are well known for their slightly sour and slightly bitter taste. It grows in clusters like grapes, hence the name. These fruits are rich in water content and enzymes, and have a lesser amount of sodium. They are known to be really helpful in weight loss procedures. Grapefruits help prevent cancer, boost the immunity levels, and also help in better digestion. Grapefruits also contain a good amount of magnesium, potassium, calcium, vitamin B, iron, manganese, folic acids. Lemon has got all the important properties that one requires. It is known to have antiviral, antibacterial, and also immune boosting properties. Lemon is also known to cleanse your liver. Being an excellent digestive aid, it works well as a weight loss tool. Magnesium, bioflavonoid, vitamin C, citric acid, pectin, and limonene contained in lemons boost the immune system and keep you strong and healthy. Limes are known to be in the family of the lemon, though it is green in color unlike the yellow lemon. It tastes bitter or sweet, and is considered to be different from the usual lemon. Limes have the property to reverse all signs of ageing and help your skin look younger. This is due to the content of vitamin A, vitamin C, potassium, magnesium, iron, and a lot of other minerals. Limes can even prevent kidney stones from being formed, and give you relief. Oranges are very popular fruits, well known for their tangy and juicy flavor. Found commonly all across the world, they are one of the most popular fruits. They have a number of health benefits. This is due to the high content of Vitamin C, beta carotenes, and potassium. Cardiac health is promoted if you have oranges on a regular basis. They are also known to prevent kidney diseases and lower the levels of cholesterol in the body. The oroblanco is also put in to the family of grapefruits. It contains a large amount of dietary fibers, natural sugars, and antioxidants. They prevent cellular damage caused by free radicals. It does not contain sodium, and contains lots of beta carotene. The pomelo is known to be the largest among all the citrus fruits. It is rich in vitamin A, vitamin B1, vitamin B2, vitamin C, proteins, healthy fats, bioflavonoid, potassium, fiber, antioxidants, and enzymes. It helps your body by promoting digestion, improving your cardiac and dental health, and also boosting your immune system to protect your body against colds and common flu. 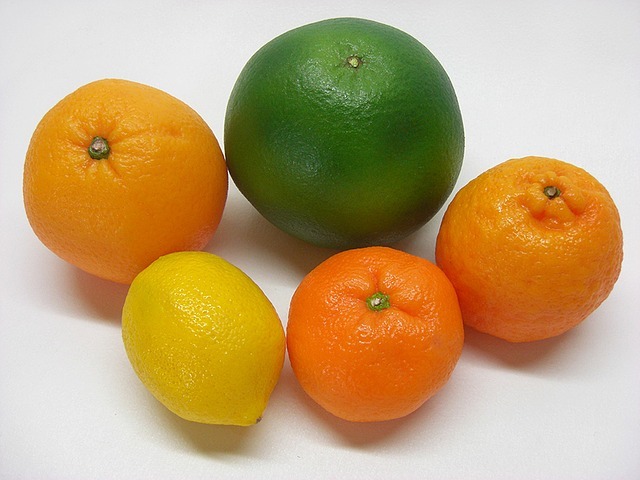 Tangerines are a specific variant of the Mandarin oranges. They are set apart and are much costlier than the oranges commonly found. The flavor of these fruits is found to be distinctly less sour and sweeter. It is usually considered to be a source for the word tangy, which is used as a common adjective for all the citrus fruits. Tangerines have a rich content of folate, vitamin C, and beta carotene. As such, it helps promote the digestive process, heal wounds and cuts faster, and also limit the risks of getting affected by obesity. Now that you know about a few citrus fruits, let us understand about some of the major benefits of citrus fruits for your good health. Having a glass of lemon juice or lime juice can greatly improve digestion. When you have a glass of lemon juice with a meal, harmful bacteria in your body are eliminated from the gastro-intestinal tract. Citrus fruits are all known to contain a large amount of Vitamin C. When combined with antioxidants, Vitamin C increases your body’s immunity. Researchers have proven that people who consume citrus fruits on a regular basis become less prone to cough, cold, flu, and other such common infections. Citrus fruits are known to contain citric acid. Consuming citrus juices on a regular basis helps in increasing the level of citrate in urine. People who are prone from kidney stones are recommended to drink lots of water to prevent its formation. Having lemon juice can greatly help in reducing the risk of calcium stones in your kidneys. Lemons and other citrus fruits contain calcium in small amounts. The level of potassium in lemons helps in maintaining the bone calcium density in the body. Potassium protects your body from osteoporosis by preventing the loss of calcium through the kidneys. A well known weight loss mantra uses lemon and honey. A glass of warm water with the juice of a lemon and some honey helps reduce weight like magic. It must be consumed early in the morning on an empty stomach. Pectin is a soluble fiber contained in lemon, which helps weight loss by burning fat.